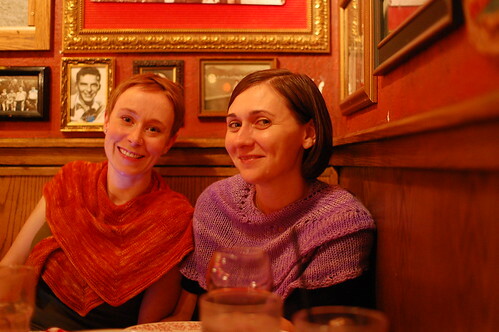 There are a couple of main reasons why I attend the National Needlework Association trade show in Columbus (this was my second year). A big one is, of course, to see the show floor – new products, be they yarn, notions, bags, patterns, random other stuff for fall. Touching the new yarns, trying on sample sweaters, talking to yarn industry people! I helped out in Ysolda’s supercute booth this year, putting together Ikea furniture, helping people take photos in the photobooth, serving tea and cake at the afternoon tea parties. Then there are the other reasons I go – the people. Hanging out with my yarny internet friends that I might talk to all the time but see in person only a couple times a year. 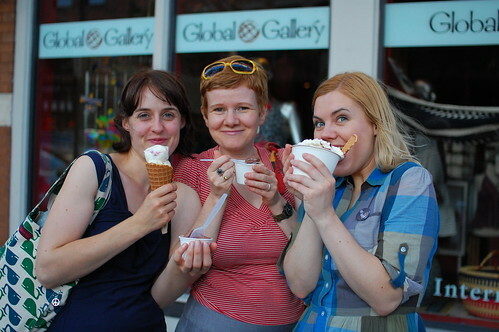 The parties are great (the Ravelry Ice Cream Social was super fun!) 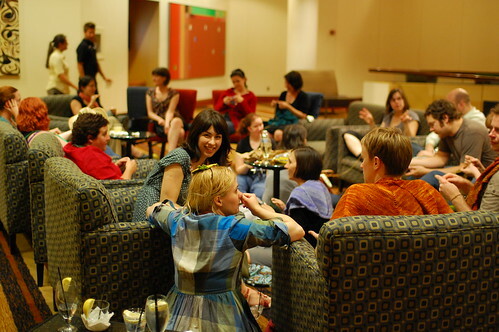 but even more fun to me are the quieter gatherings that happen organically all over the place during TNNA – at North Market, at the bar, on the street. So many awesome people, old friends and new ones. And then there’s the Jeni’s! I’m not sure if it’s the best ice cream in the world, but that’s just because I haven’t tasted all the ice cream in the world! It’s damn good, and I made a point of trying as many flavours as I possibly could in my 5 days in Columbus – I did pretty well at that, and had half scoops of TWELVE flavours! And yep, they were all delicious. I just got home this evening, and already I can’t wait for next year. P.S. If you’re curious about all the great new stuff coming out this year, check out Hello TNNA!. 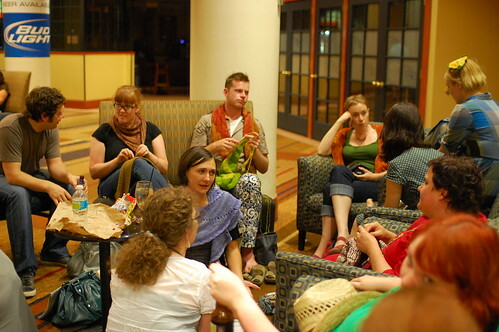 The roving Ravelry reporters did an awesome job walking the floor, talking to people and blogging it all for you! Wow, it looks so fun! Can’t wait to go next year. That looks so amazing. Someday I want to go! 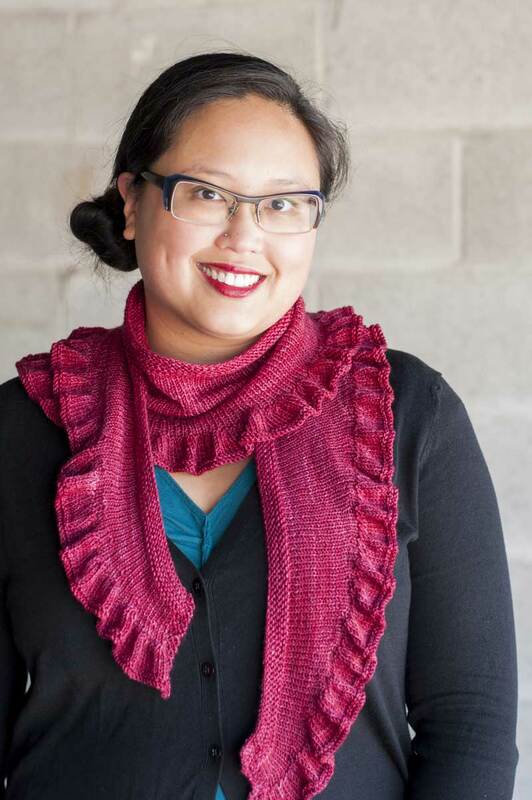 Thank you for the post–very inspiring and a good reminder for me to stop neglecting my knitting. I always wondered if you had to be in the industry to attend TNNA or if the general public could attend too. 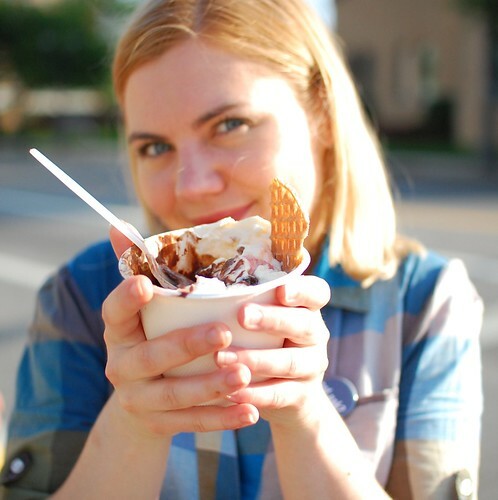 And I am super envious of Ysolda’s sundae. It looks super – both big and delicious! Thanks so much for sharing the great photos. Almost feel like I was there! Thank you for taking the time for the photos…it is really nice to see. It looks like a lot of fun. And so many people that the knitting community respects. Fun! The more pictures I see, the more I want to go to one of these! And the ice cream looks like it’s to die for. Great pics! I love when people actually take the time and take shots for those of us who can’t be there. Thank you. They’re really fun to look at. Hi, Laura! 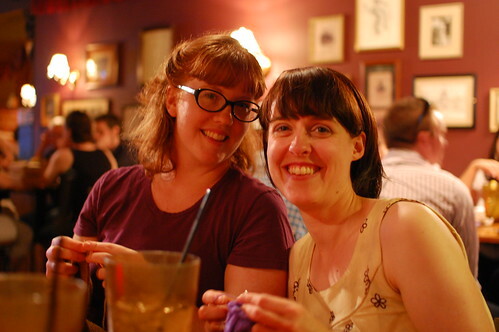 Was so glad to meet you in person at the Ravelry Party! I notice you subscribed to my Twitter feed on June 15 but now I can’t subscribe back. I can’t find you! Help?